The next film in our series “Spring” is currently being produced so keep checking our site for details. Take a look at our Christmas Bulletin and Greeting to all our Patrons by clicking on the link below. The next film in our series “Winter” is currently being produced so keep checking our site for details. Who knows you might well have a staring role! Take a look at the second film in our series “A Year in the Life of Thornley Parish Council” by clicking on the link below. Look out for our Christmas Special coming soon. 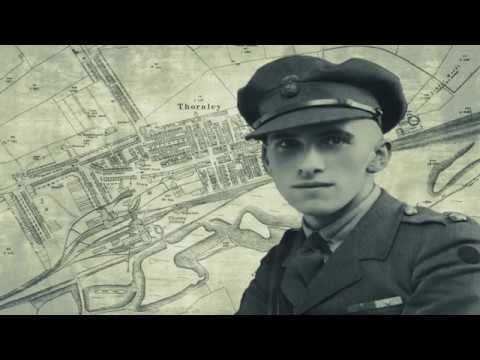 Please click on this link to view a film documentary on John Scott Youll VC. The list of Parish Council’s GDPR polices have been updated. Please refer to the relevant page for detailed information. The Parish Council recently enhanced the War Memorial by installing an arch in memory of all residents who made the ultimate sacrifice in World War 1 and other conflicts.